Web Applications have greatly evolved, responsive Web Apps are crucial for success. Sophistication of the User Interface is practically on level ground with desktop applications, and the User Experience has to be in par. Responsive applications are now the norm for modern Web Apps. Open Source Software such as Ruby On Rails has matured and became the de-facto standard in many areas including back-end for web applications. Ruby On Rails fits very well with many other libraries including: jQuery a well know framework for building these responsive applications. Modern rich widgets from the jQueryUI library enhance the capabilities of Web Apps. Some widgets include: expandable section tabs, collapsable sections, slider, dynamic calendars and floating dialogs. The technology platform we utilize for creating applications is Ruby on Rails. The most recent version of Ruby On Rails 3.0, is now available to start building Web Apps that are up to 3x faster in some areas when compared to Rails 2.3. It is now Enterprise Ready and mature platform due to the many improvements built in the platform. 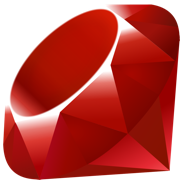 Ruby is a very powerful language that allows to write software in a very clean, organized and natural way. Ruby 1.9 brings full support for internationalization (i81n) as well as significant performance improvements. There is no better time to move into Ruby on Rails platform. Services such as social networks, geolocation services, feeds, notifications, payment services and data aggregation, exchange via APIs or as data scrapping. Your App is the Web, as parts of your application, can be exposed to external parties in the form of APIs (Application Program Interfaces) for automated service provisioning and information exchange. The later will help you achieve a key strategic goal: build not just an interconnected application but an use this web app to create a platform for your customers and partners. As business are looking to build value to new or existing B2C and B2B segments they can leverage on our accelerated development approach using technology that actually makes sense. 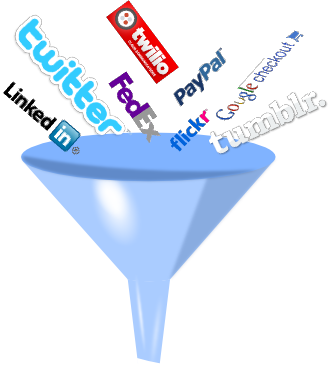 Consumer Markets require that your platform can interact to the newest services available in the web. Require a platform that can scale and present elasticity to peak demands. Require the ability to implement features and being able to turn in a dime. Business Markets require the stability of mature platform. Require connectivity to existing businesses services including legacy services. Require the ability to handle and reduce complexity. We bring the right strategy in our services. Copyright ©2003-2010, Solutionwise Consulting, Inc. All rights reserved.